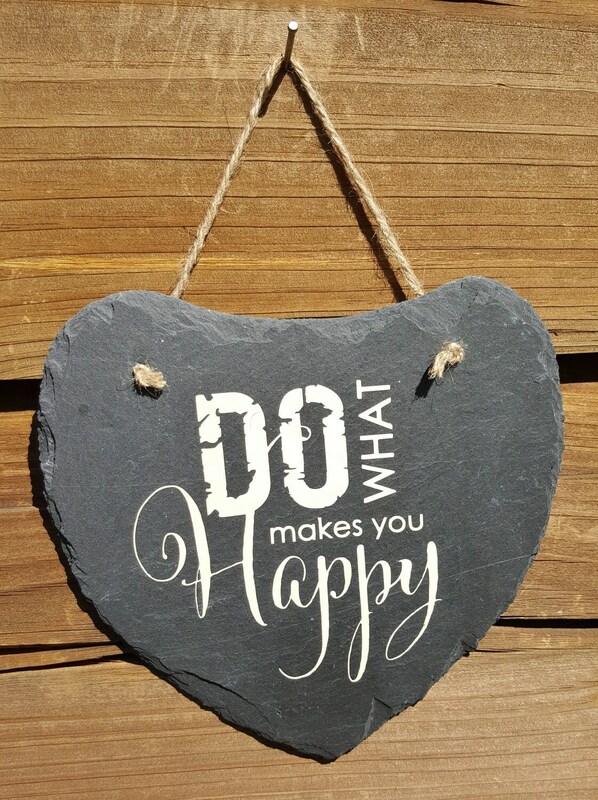 This 8" x 8" heart shaped slate sign reminds you to Do What Makes You Happy ! 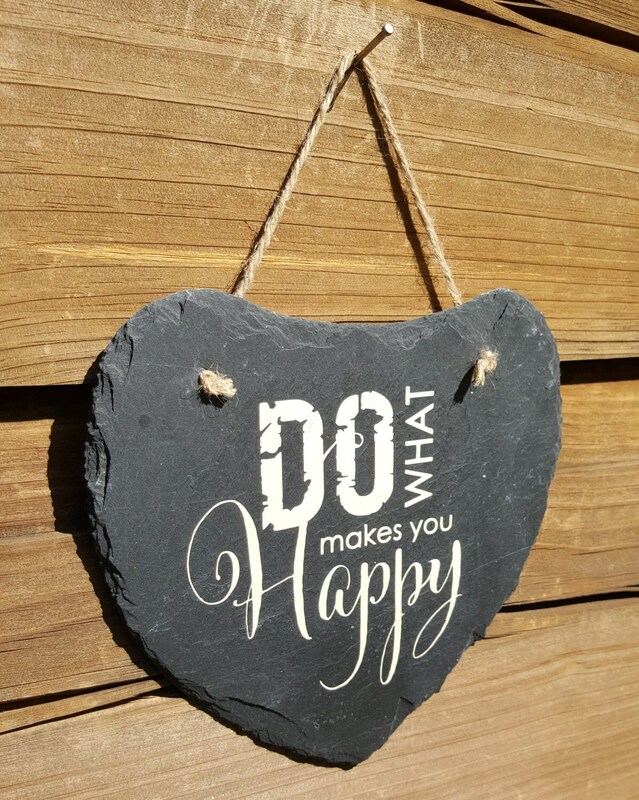 In this world of negativity, sometimes we need a little reminder to choose happiness! 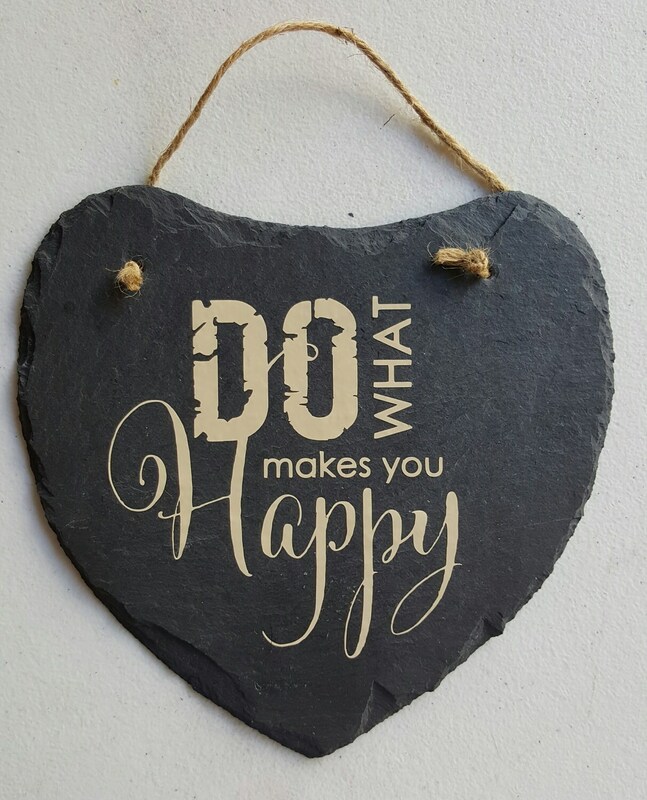 This Do What Makes You Happy slate sign has two holes and a length of twine tied to it to make hanging your sign a breeze.